Home » Stories & Experiences » My Mid-Life Crisis? 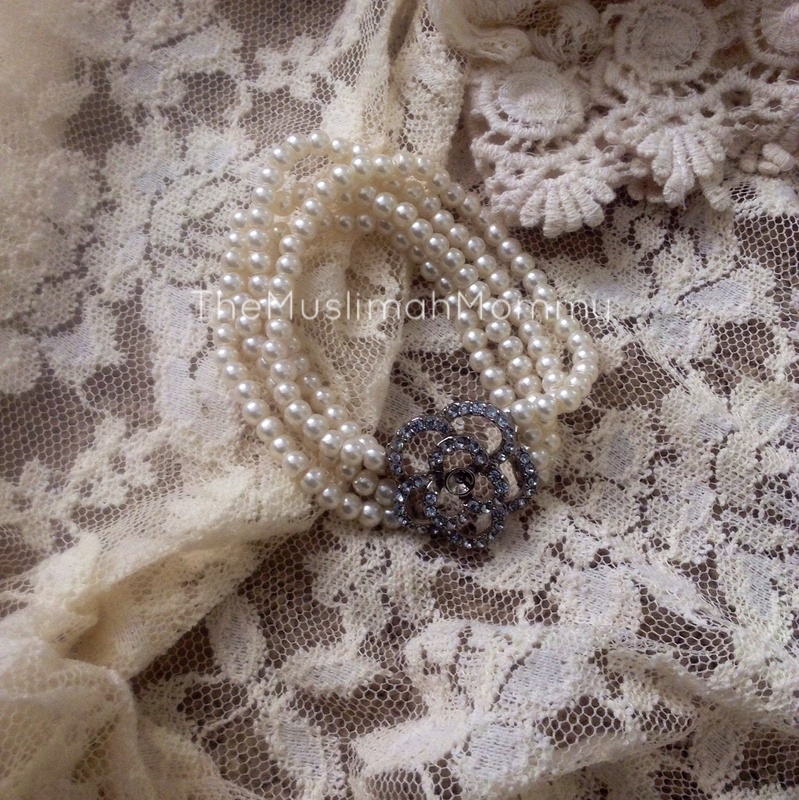 That’s right-I’m a pearls, lace, and chiffon type of gal, and always have been. Since I can remember, I have been drawn to the more ‘delicate’ fabrics, which coincidently resembles my personality. Just like the materials I wear, I’m known as the one with the ‘soft’ voice, the one that is ‘gentle’ with my words when in conversation; in other words I’m known as the ‘delicate’ one. So then why did I buy this leather vest that is completely not ‘me’? What was I thinking? Am I going through a mid-life crisis where I have lost my identity?…. ….To answer my own questions, I have to say that I don’t know? 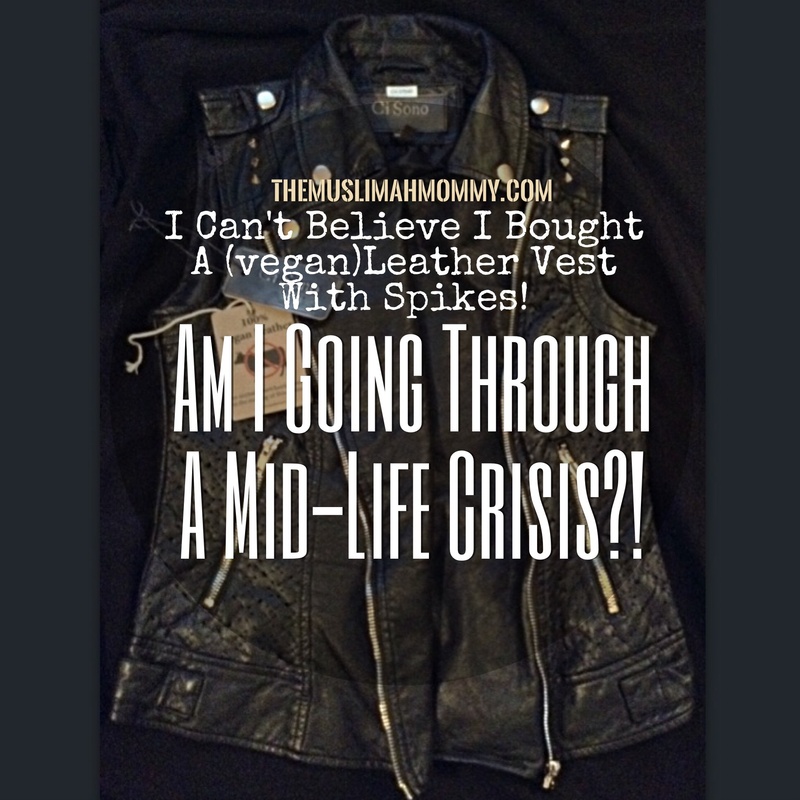 You see, my first reaction when I saw this vest on the hanger at the store, was that it was ‘cool’….then I saw the spikes on the shoulders and hesitated to even try on the vest. 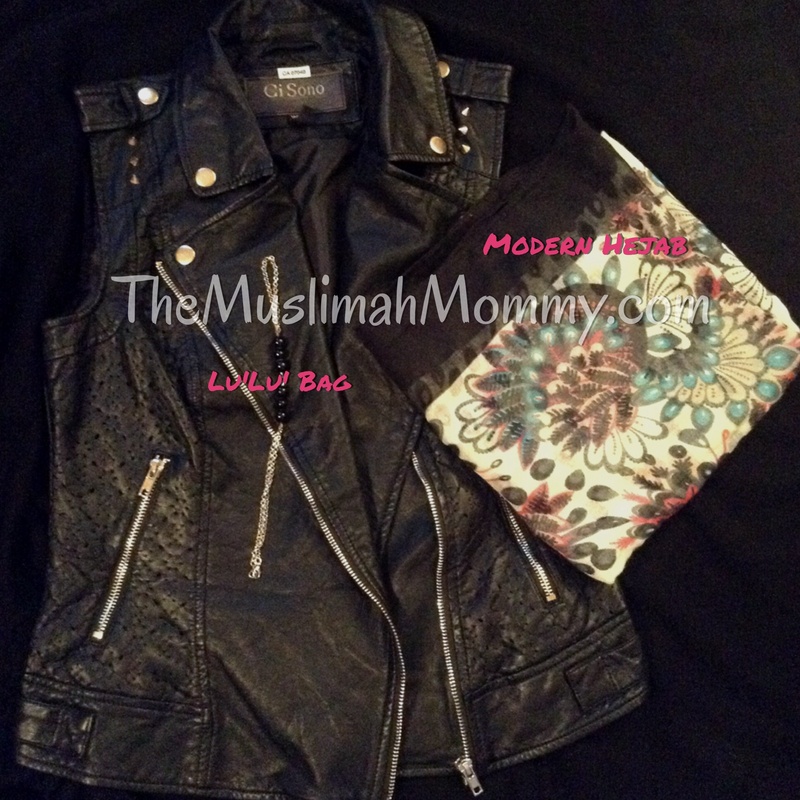 Was this too ‘biker chic’ for a mom of three whom usually dresses herself in chiffon and lace? Then, a voice inside my head convinced me to try the vest on…hmmm…this doesn’t look bad at all! Perhaps I can ‘pull it off’…or can I? Sigh…the dilemma! With a slight doubt, I decided to purchase the vest! During the car ride home, I started visually pairing the ‘feminine’ pieces of clothing in my closet with the vest, and this provided me with greater confidence with my purchase. I was starting to convince myself that I made a good buy! Now, back to my question: Am I going through a MID-LIFE CRISIS? Well, if stepping out of my comfort zone when it comes to clothing is the definition of a mid-life crisis, then YES! But if purchasing this vest means that I’m finally willing to try new looks, new fabrics, and new styles, then NO! I have to say that this year has been a year of great changes for me: I’ve become bolder in my decisions, I have been daring with my approach in life, I have been spending more time on getting to know myself and my passions. Maybe this isn’t a mid-life crisis, but just ‘me’ finally coming to be known! A few years ago, I would have been afraid to pursue my dreams, I didn’t believe in myself. Looking back, I realize I was working for others and not working on myself, I was fitting the mold of another person, and suppressing my personality. Unfortunately, my biggest concern was pleasing others…however, today I know that it’s important to put myself first. I might be judged for dressing a certain way- in fact I know that I’am…but I can confidently say that it doesn’t bother me anymore as much as it did a year ago. 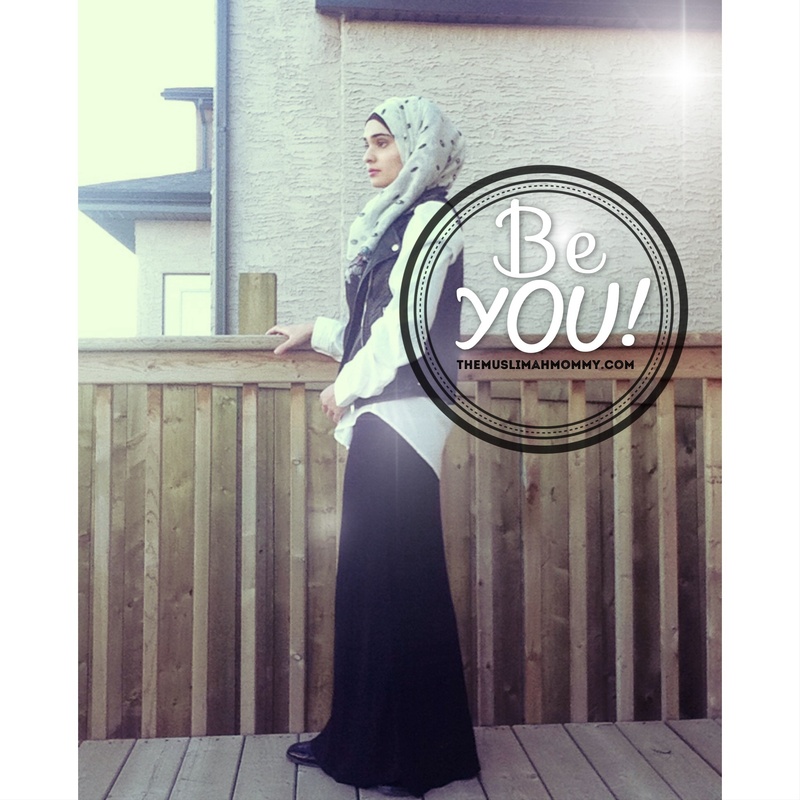 I still dress modestly, as that’s very important to me and my identity as a Muslimah, but I feel you can still dress modestly and celebrate your personality through your clothing! 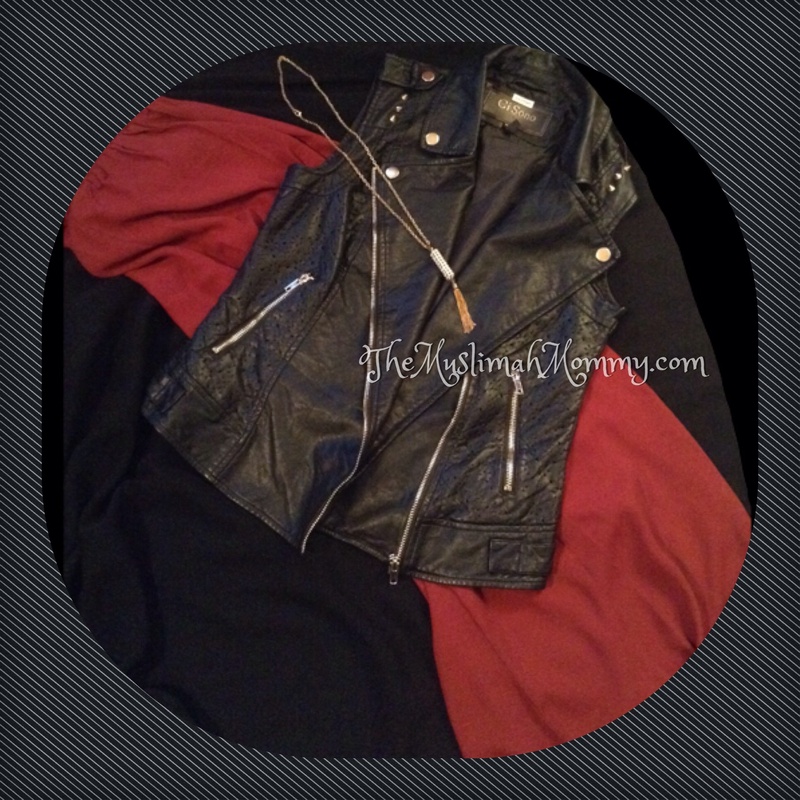 With a maxi skirt in any color, and either a shirt in the same colour as the maxi skirt, or a black shirt. 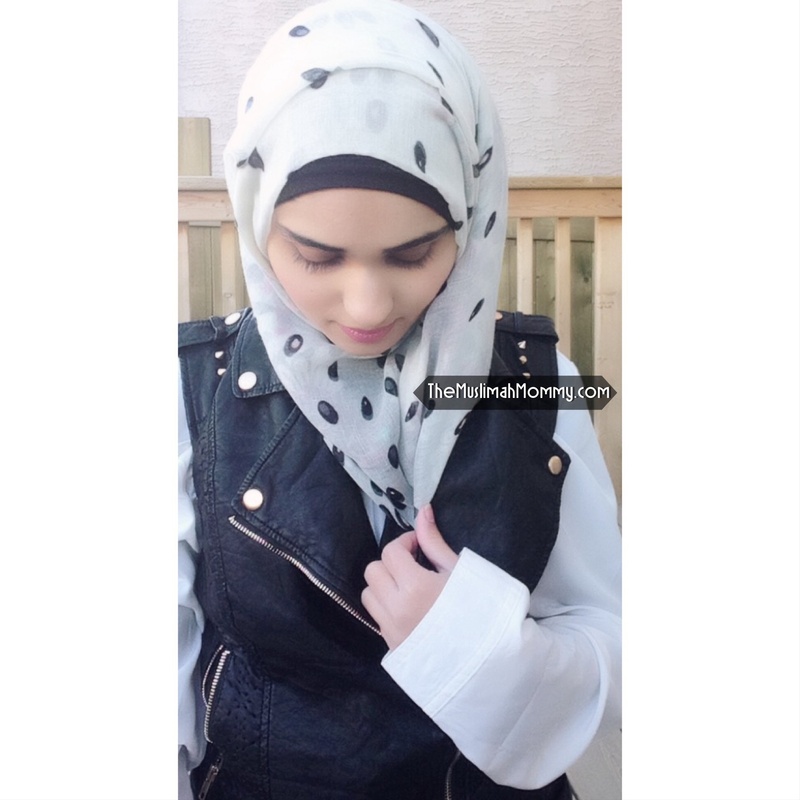 With a long sleeve maxi dress, printed hijab and handchain. See! I can still wear my ‘feminine’ clothing with this vest and maintain who I am, but add a bit of boldness that I don’t often show..but am starting to show more of! With all of this said, my advice for anyone is to try things on before judging a piece of clothing, don’t be afraid to mix different styles, textures, prints, and fabrics together; and JUST BE YOU! Lol sis! I think I made it work with the pieces I already have in my closet 🙂 Of course, I would never even consider purchasing something like this, but for some reason I was totally drawn to it! I love it! I have a similar vest, only it has pearls and a good chain instead of studs.. I think, you would love it * ♥ .. I think the way you paired it up is totally perfect, who says you can’t be a (modest) mummy but not look good?